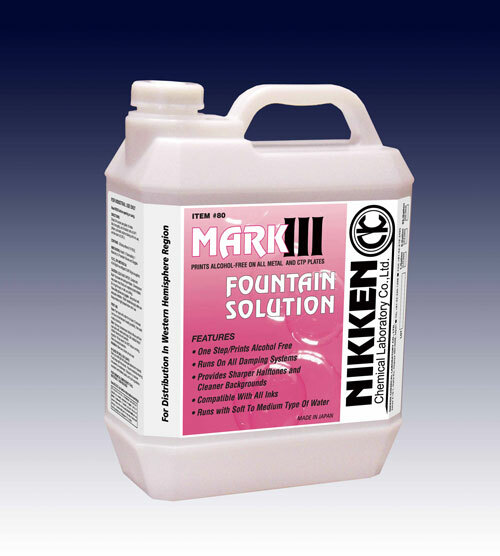 MARK III is a unique One-Step Fountain Solution that runs Alcohol-Free on all sizes of sheet-fed and web presses using continuous dampening systems with Soft to Medium water. MARK III provides faster start-ups, sharper halftones and cleaner backgrounds. 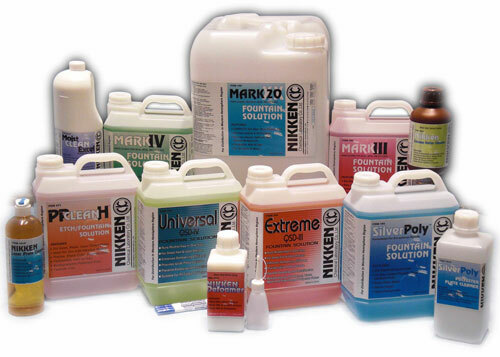 MARK III has an excellent compatibility with UV inks. 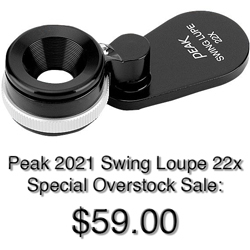 MARK III has been tested by all press manufacturers and is being run in all types of presses around the world with superior results and satisfactions. Dilute 2 - 4 ounces of MARK III with a gallon of distilled water. Mix thoroughly and set the chiller temperature at 54°F.